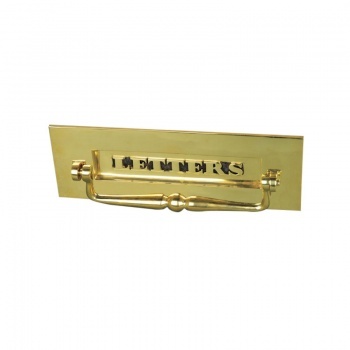 Traditional Letterbox with clapper - combines a letterplate and door knocker into one design. 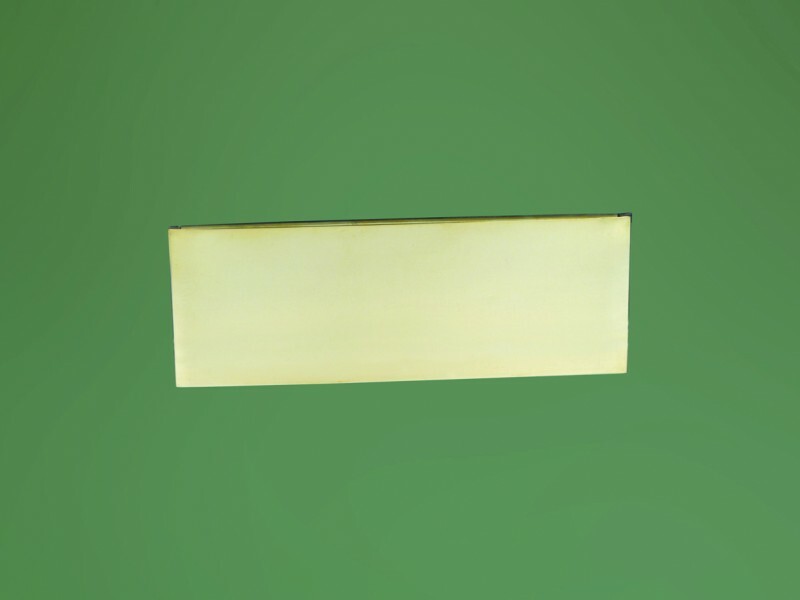 This is a stylish letter plate with a sprung flap, it has a large aperture capable of receiving A4 letters without folding the envelope. 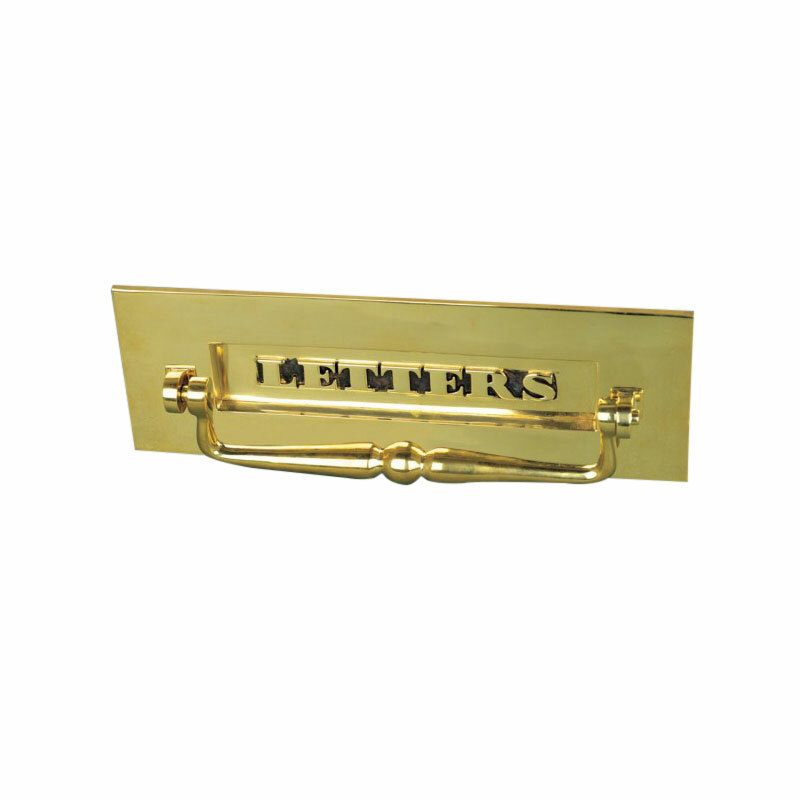 The letterplate is fixed to the door with two studs and the distance between the fixing studs is 235mm. Dimensions - width 300mm, height 102mm, projection 30mm.